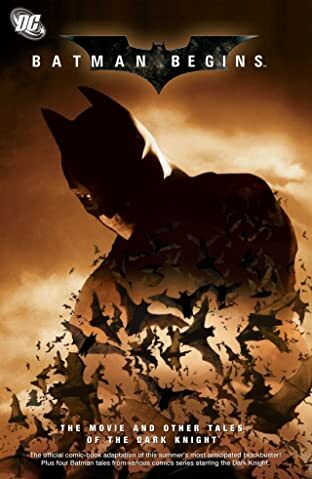 Batman Begins, the film by acclaimed director Christopher Nolan (Memento, Insomnia) and writer David Goyer (Blade), starring Christian Bale, Michael Caine, Liam Neeson, Morgan Freeman, Gary Oldman, Ken Watanabe, Katie Holmes and Tom Wilkinson, can now be read as a graphic novel! 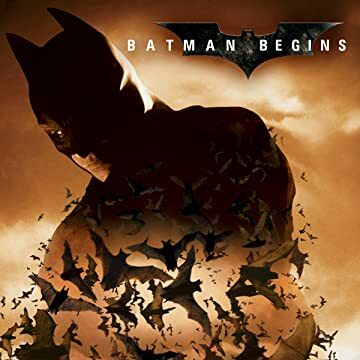 This colorful adaptation of Batman Begins explores the origins of the Batman legend and the Dark Knight's emergence as a force for good in Gotham. In the wake of his parents' murder, disillusioned industrial heir Bruce Wayne travels the world seeking the means to fight injustice and turn fear against those who prey on the fearful. He returns to Gotham and unveils his alter ego: Batman, a masked crusader who uses his strength, intellect and an array of high-tech deceptions to fight the sinister forces that threaten the city. This collection also contains four more tales featuring the comic-book version of the Dark Knight!